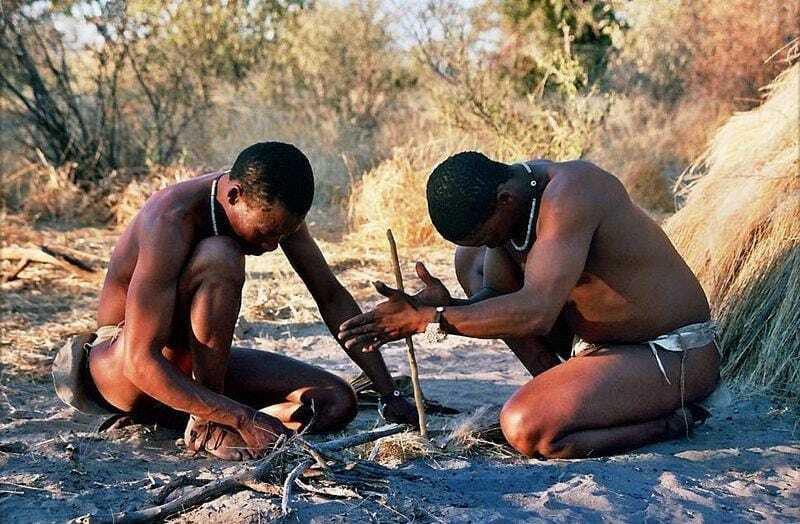 Botswana was first inhabited by the San and the Khoi people, soon followed by the Bantu-speaking Batswana, who eventually became the majority ethnicity in the region. The Tswana tribe, divided into eight smaller tribes which administered their rule, was mostly composed of hunters and farmers. The first president of Botswana was Seretse Khama of the Bamangwato Tribe’s Khama dynasty, and the government was both modelled on the British system and allowed for the fusion of tribal and Western government. But between 1885 and 1966, Britain had not invested significantly in the economic development of the region, and so at the time of its independence, Botswana was one of the poorest countries on earth. Its sparse inhabitants were mostly pastoralists and agriculturists, and the infrastructure was meagre. A sudden change of luck came when, soon after independence, massive quantities of diamonds were discovered under the Kalahari sands. Since that time, Botswana has never looked back and has become not only one of the richest countries in Africa, but also one of the premier safari destinations on the continent. The landlocked country of Botswana lies in the centre of the Southern Africa Plateau. To understand why Botswana safaris are so unique, it is important to understand the geography of Botswana. In the northwest, the Okavango River drains inland into an extensive swamp area. Botswana Delta tours occur here and are a thrilling experience. In the southwest, the Kalahari Desert features a vegetation composition of scrub and grasses with almost no surface water, except for what is found in the salt pans, which hold water for some time after the rains. And in the east, the Limpopo valley features a gradual altitudinal descent from 900 to 500 m above sea level, from the southeast to the confluence of the Limpopo and Shashe Rivers. Most of the cities, including the capital city of Gaborone, are located along the eastern border with South Africa and Zimbabwe. The best time to visit Botswana is from the end of May to the end of October (peak season). Between the months of December and May is Botswana’s green season; at this time of year, grasses are taller but the prices are better. We recommend planning your Botswana safari for this time period for a great budget-friendly experience. May/June and November form the shoulder seasons. At these times, game sightings are still good and prices are still reasonable.